You can wear your Samsung Gear™ Circle with the earphones in your ears or connected around your neck. 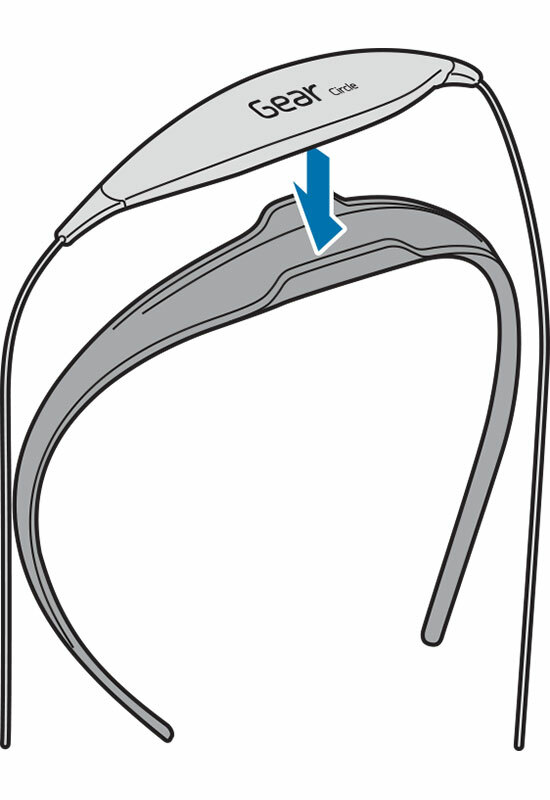 You can use the provided neck guide to keep your Gear Circle from falling off during activities. 1. 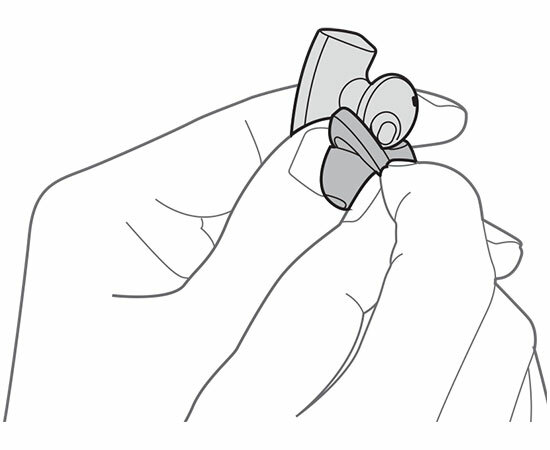 Select the provided earbud tips that fit your ears. 2. 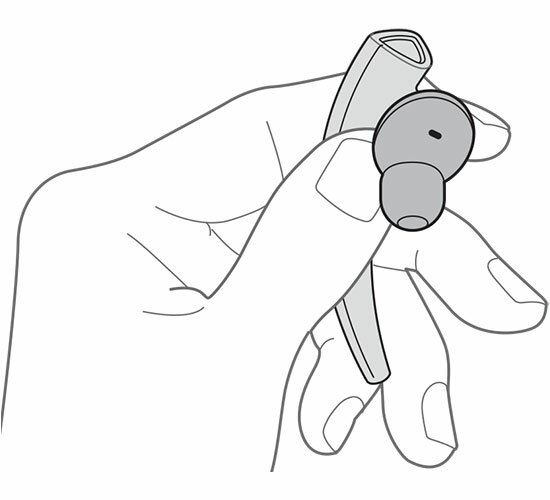 Cover the latch at the bottom of the left earphone with the left earbud tip. Note: Each earbud tip is marked L for the left ear or R for the right ear. 3. 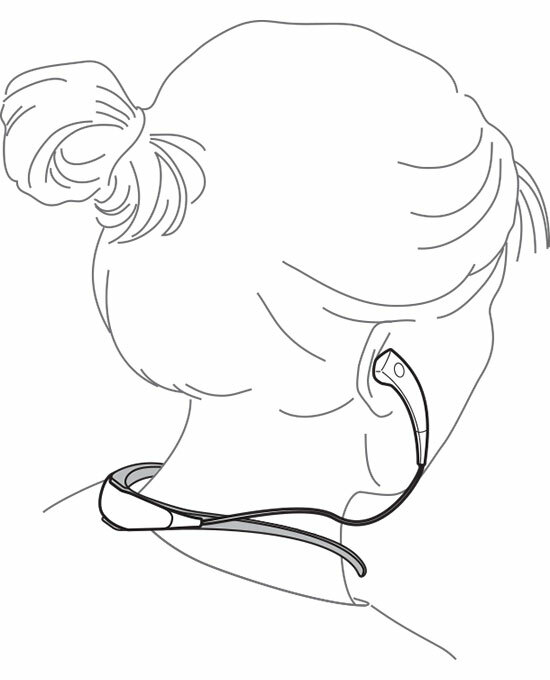 Hold the bottom of the left earphone and fully cover it with the left earbud tip. 4. Cover the right earphone with the right earbud tip. 1. Position your Gear Circle neckband on the back of your neck so the left earphone is on the left side and the right earphone is on the right. 2. 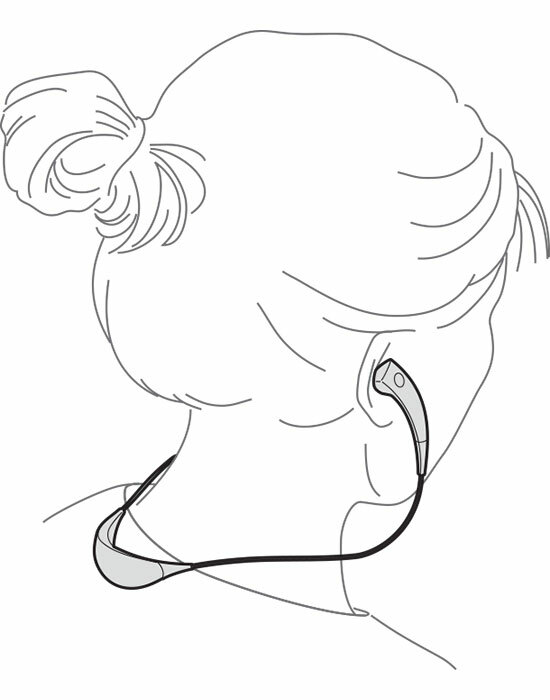 Insert the left earbud tip into your left ear and the right earbud tip into your right ear. 3. Wear your Gear Circle as shown below. 4. When you remove your earphones from your ears and bring them together, they will magnetically connect, as shown below. You can use the neck guide for your Gear Circle to keep it from falling off your neck while exercising or performing other physical activities. 1. 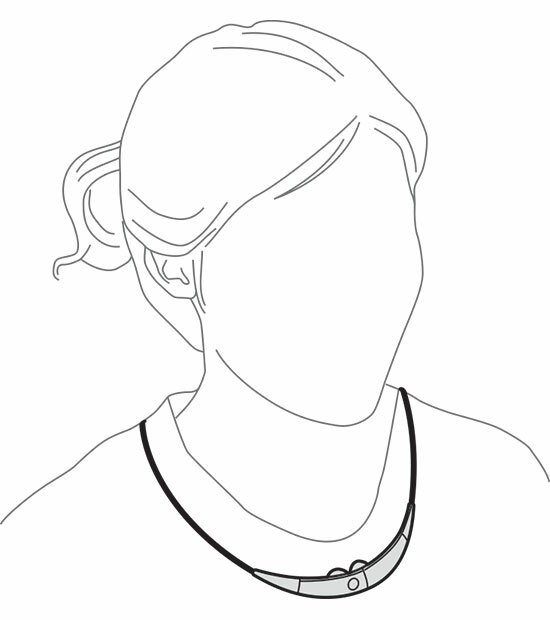 Insert your Gear Circle neckband into the neck guide. 2. Wear your Gear Circle as shown below.